Started boxing at 12 years old for Kirkby ABC under Richie & John Lloyd. I had 40 amateur contests. I then moved down to London where I trained to turn Profession for Charlie Magrie, former world champion, I was also boxing for West ham ABC, trained by Johnny Eines and Mickey May. 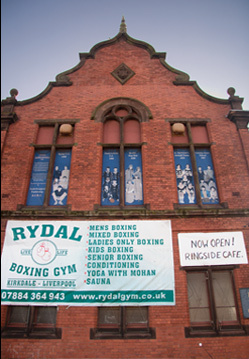 Then on my return to Liverpool, I coached at Kirkby ABC for 6 years before I opened my own Gym, Bridge Road for the last five years. I have A level in Physical Education, a HND in Sport and Exercise Science, and a BSc Hons Degree in Sport, Health, Exercise, and Nutrition. I boxed as an amateur in Ireland, England, Scotland, and America, and had over 50 amateur fights. 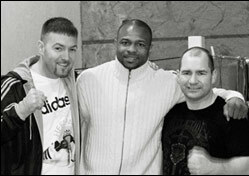 During my amateur career I was lucky to box under many great international and respected coaches. I am a Fully qualified amateur coach with over 10 years of amateur coaching experience. I also turned professional after completing university. I was a professional fighter for 8 years and had 14 professional fights. I was lucky to box under a few different pro coaches, and train with and alongside professional champions from domestic, to European, and right up to world level. I learned a lot from my time in John Breens well respected gym in Belfast with him and his assistant Eamonn Magee, both of whom are now still good friends. I am now working full time boxing coach and doing my professional apprenticeship under the guidance and trutelage of Brother Rob Butler. I also do some personal training and specialise in clients who are competitive boxers or are really interested to learn about boxing. My passions are boxing, music, and people. I used to say the only two things that ever made sense to me were fighting and helping people. My fighting days are long over so I now like like helping people; to fight, to learn about the benefits of exercise, or just to lose weight and feel good. 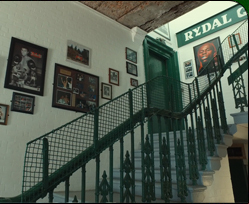 I walked into Robbies gym in Seaforth at 12 years old (never left). I boxed briefly as a junior for Kirkby ABC before pursuing forward with Bridge Road ABC then Rydal ABC. While boxing amateur I completed both a bachelors degree and masters degree in strength and conditioning. Started boxing at the age of 9 years old down at Bridge Road in Liverpool, really enjoyed the boxing. Where as i was out having a few amateur fights at the age of 11 and 12 then turned 13 and fell really ill with the desease Encephalitis which then that cause stopped me from not being able to no longer box. Since then always stuck to the positive and never wanted to give in the boxing so my idea was to keep in with the coaching side of things which I also really enjoy, I am also a qualified gym instructor.. I used to box for Litherland Abc under Alfie Matthews. I have 15 years experience as boxing coach.